Easy nachos cooked in the microwave oven, with jalapeno peppers, cheese, and taco sauce. 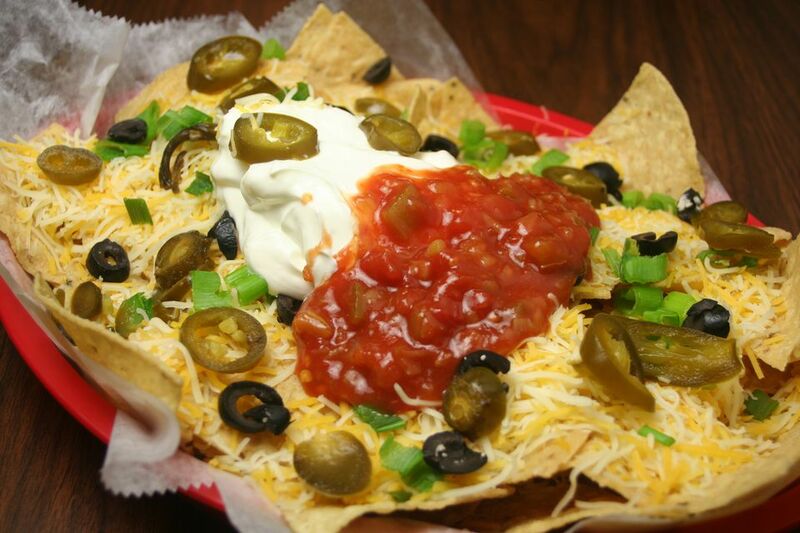 Add refried beans or browned ground beef for loaded nachos. Place tortilla chips on a paper plate. Pour taco sauce over the chips. Sprinkle evenly with the shredded cheese. If desired, top with jalapeno pepper slices. Microwave on HIGH for 1 to 1 1/2 minutes, until the cheese is melted. Serve with sour cream and/or salsa, if desired. Help! I Need Some Vegan Snack Ideas!